Why made in the old database from 19.1? #Final Pack Season 2018-2019 Online!! FM Data Update X V9# See page 1 at the top for the download. See message number 2 for the adjustments Football Manager 2019 transfer update 15.633* changes until the 6rd of April that FM 19.3 doesn't include! (* Realname Fix & Data Update ). 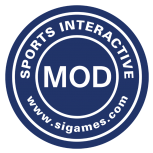 Completely rebuilt on the latest database of Sports Interactive 19.3 no unnecessary old changes from the old database 19.1! demonstrably visible in the editor tool. 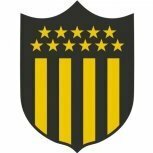 [FM﻿19] FM Date Update X 2019 V9.0 * Final Pack Season 2018-2019!! V9 ---> 6/4/2019 @00.05 The latest data update for the 2018-2019 season of FM Data Update X 2019. All transfers including the future transfers season 2019-2020 have been updated also the contracts have been updated including staff members CONTACT INFORMATION For technical support contact : prealnamesfm2015@gmail.com. See message number 2 for the new adjustments v9 / Including new youth players & Agent's !!! - Fully 19.3.4 clean update! [FM﻿19] Transfers & Data Update FM Date Update X 2019 NEWS I have reduced the number of websites on the internet with the download FM Data Update X to 4 of the 17 most active forums. This is to keep it clear and also to get the most return from the update FM Data Update X 2019. It also saves time uploading the update. Soon I will come with more news about the upcoming update of FM Data Update X the V9! keep an eye on the page. [FM﻿19] Transfers & Data Update FM Date Update X 2019 NEWS Download link has been replaced with a direct link via mediafire.com without registration. The FM Data Update X V8 remains the same and is unchanged. Online : [FM﻿19] Transfers & Data Update FM Date Update X 2019 V8 Fully Clean 19.3 Update! ** [19.3.4]﻿ - Data Update V8 10/3/2019! ONLINE! & Realname Club & League Fix V8 *﻿*﻿ View p﻿a﻿ge 1 message number 1 ﻿for instructions ( Download link ) see message number ﻿2 for the new adjust﻿men﻿t﻿s!﻿!﻿! Fully 19.3.4 clean update! All changes from V1 to V6.1 that are missing in the 19.3 standard database have been added again Demonstrated in the editor that the update has been completely re-created based on the 19.3.2 patch of Sports Interactive no database copy of the older 19.1 patch! no old data from the previous one. The First ( Transfer ) Data Update for Football Manager 2019 in Europe based on 19.3 ( 5March ) The database V8 has been completely rebuilt at 19.3.4. 54+ New added youth players: Naci Ünüvar (Ajax) ,Xavi Simons (FC Barcelona), Levi Skyum (Feyenoord) ,Olivier Dewaele (Anderlecht), Andrea Bonetti (Juventus), Karamoko Dembelé (Celtic), Noah Ohio (Manchester City), Levent Gundogan ( Manchester United) ,Christian Rasmussen ( Ajax ), Nils de Wilde Anderlecht), Sergej Vintonji ( Partizan Klub ), Youssoufa Moukoko ( Dortmund ).... 34+ Realife agents Mino Raiola, Jorge Mendes, Pinhas Zahavi, Rodger Linse, Sören Lerby, Perry Overeem, Rob Jansen, Marko Pantelic, Ali Dursun, Aleksandar Bursac, Frank Trimboli , Milos Malenovic ( Agent ).... Official club and league names (FCP -> FC Porto, Euro Cup -> UEFA Europa League and of course the Champions League & Youth League license !! Database errors corrected from the American competition to the Dutch and of course the top competitions! Media resources exclusive: FoxSports, Ziggo, AD, Telegraaf, de Gelderlander, Ajax showtime, VI, Sporza, Voetbalzone, Gazet of Antwerp ,Mundo Deportivo, La Gazzetta dello Sport, Tuttosport and 15 others present in new update! License Fix: Andrés Iniesta (Vissel Kobe), Lukas Podolski (Vissel Kobe), Fernando Torres (Sagan Tosu) Raúl González Blanco trainer (Real Madrid) added to the database. General Changes : Corrected Awards and Trophy names , Updated team captains, vice captains , Promotion / relegation to leagues that have already finished the season. Sorry mate thank you for the feedback! 19.3 [FM﻿19] Transfers & Data Update FM Date Update X 2019 V7 6/3/2019 ONLINE! The First ( Transfer ) Data Update for Football Manager 2019 in Europe based on 19.3 The database V8 has been completely rebuilt at 19.3.2. Thx ! MrGizmoThank you for your response.